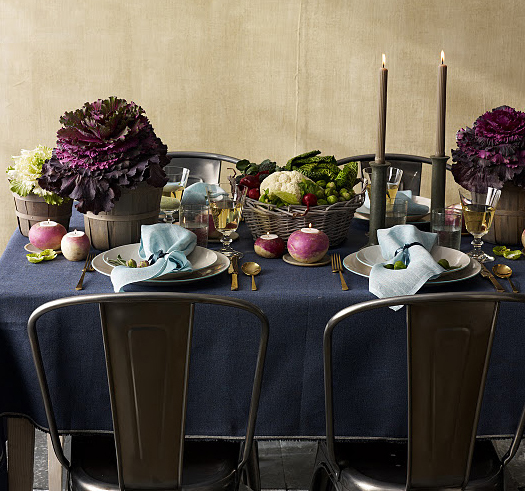 In the November issue of Martha Stewart Living, my favourite feature can be found on page 136: a glorious spread about the virtues of a Thanksgiving table laden with serving pieces and centerpieces fashioned out of heads of cabbage, turnips and ornamental kale. I love the styling of the photographs as much as I love the ideas they present, and I wanted to revisit them here on the blog before U.S. Thanksgiving tomorrow. I hope the photos inspire you to create a lovely table in your home! Ornamental kale (shown potted in the wooden bushels) is available at many floral shops and garden centers this time of year. They bring a sense of volume and texture to the table, not to mention beautiful colour, and they do very well as houseplants. I also love the deep blue table cloth and the brushed-steel chairs. 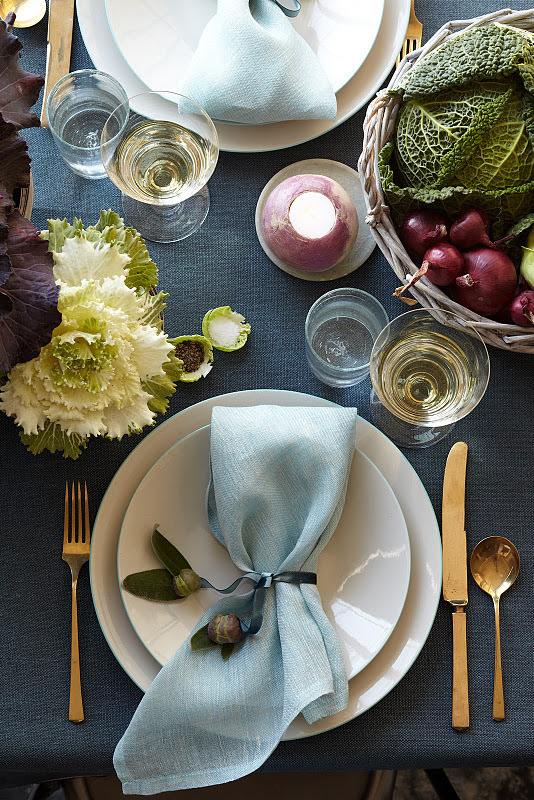 The table setting is an eclectic mix of rustic charm and modern sophistication. 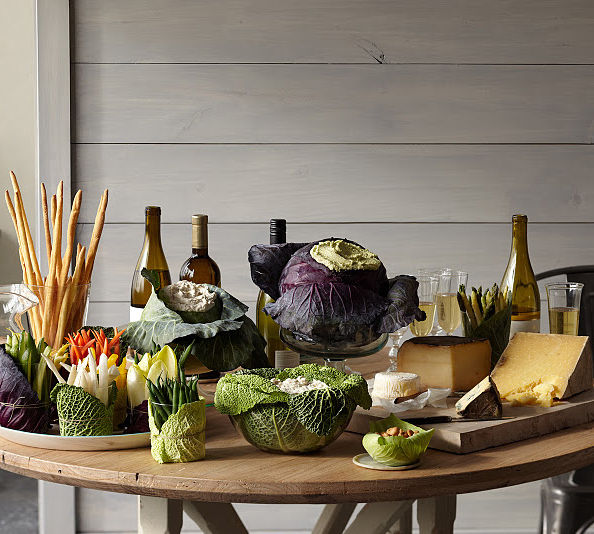 A serving table is brought to life with a splendid arrangement of delicious things. The serving dishes themselves are edible: hollowed-out cabbages and glass bowls lined with cabbage leaves proffer delights from the garden and an assortment of dips. The November issue was my favourite of 2011 (so far!). It had more of the old Martha feel to it. And this story was one of my favourites too.